Syrinx is a joint exhibition between Alison Wilson and Dominic Fondé, two British artists who met while living and working in Singapore. The project came about through a shared interest in birds and a passion for visual arts. 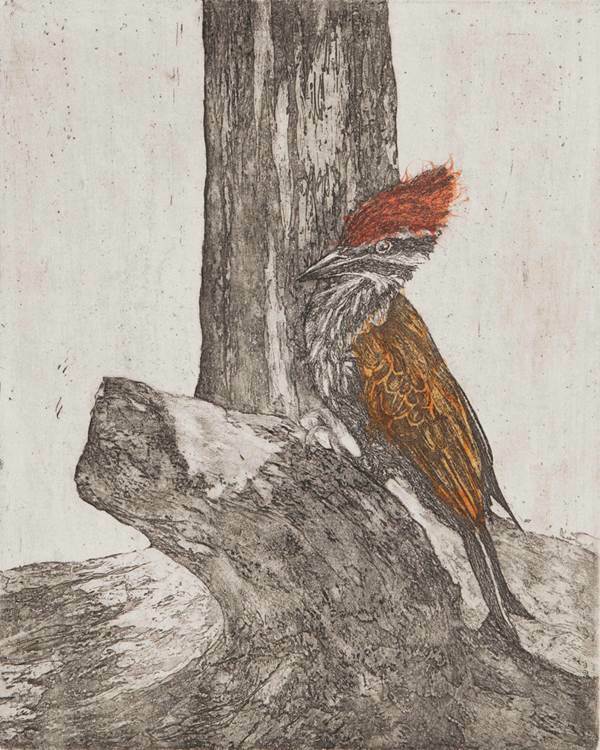 Both artists use drawings as the starting point for their work but explore the imagery further by using printmaking techniques and glass engraving to add layers of depth, meaning and atmosphere. The title for this exhibition is Syrinx, a word used to describe the vocal apparatus of a bird. 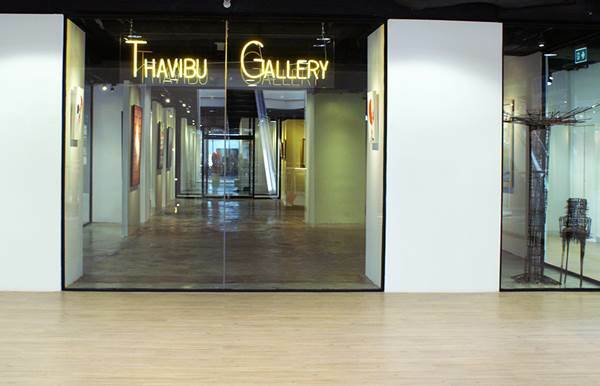 The works created for this show feature images of birds local to Thailand, such as the Koel and Kingfisher, birds that are endangered, and birds renowned for their song such as the Mocking Bird and Nightingale. Alison and Dominic state that the aim of these works is to explore the beauty of birds and birdsong and highlight what might be lost if these birds are not protected. Please note, is recommended that visitors attend the exhibition during daylight hours for the optimum viewing experience. Alison Wilson is a visual artist whose work reflects her interest in natural history subjects, patterns in nature and the human desire to interact with and leave a mark on the landscape. The main focus of her art practice is drawing and printmaking, particularly etching. In 2010 she won 1st Prize Ocean Artist of the Year, Voice of the Ocean Competition, ADEX. Her work has been exhibited in UK, Spain and Singapore and many private collections. She has lived and worked in Singapore since 2001. Dominic Fondé is a professional glass artist who has been working with blown and engraved glass art since the mid 1990s. He has many of his artworks in public and private collections in the United Kingdom and Europe. His public commissions notably include a series of engraved art glass windows at the Birmingham Botanical Gardens. He lived and worked in Singapore from 2006 to 2014 and now splits his time between Singapore and Japan where he continues to create and exhibit engraved glass artworks.